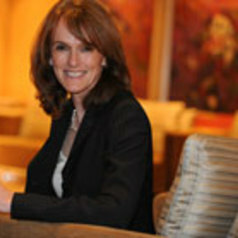 Dr. Cathy Foley is Chief Scientist CSIRO, formerly the Deputy Director and Science Director of the CSIRO Manufacturing Flagship. She has worked in Superconducting Devices and Applications Project which is developing superconducting systems for mineral exploration, detection of metal for quality assurance in manufacturing, terahertz imaging, submarine and UXO detection. This multiple million-dollar project assisted with the discovery and delineation of the BHPB Cannington Silver mine and her team is currently commercialising their systems. Her group was the first team to successfully fly superconducting systems. Cathy also is the CSIRO Advanced Materials Transformational Capability Platform Coordinator that is developing new materials using theory and modeling, combinatorial and high throughout techniques and developing materials informatics. Cathy has a world-class reputation in her field being a Fellow of the Institute of Physics in the UK, Past President of the Australian Institute of Physics, Fellow of the Academy of Technological Sciences and Engineering (ASTE) and the President of Sciecne and Technology Australia where she will represent 68,000 Australian scientists and technologists. She is the former Chief of CSIRO Materials Science and Engineering Division. Dr. Foley is well known for her interests in physics, science education, women in science, science in the media (she was a regular weekly guest on ABC radio 2BL radio for 5 years) and nuclear disarmament. She has been recently involved in developing the passion for science within CSIRO and renewing what it is to be a scientist. She is concerned about how intellectual property is recorded and how to best make it beneficial to all stakeholders. Cathy has been awarded with many prizes and medal. Some are a Public Service Medal on the 2003 Australia Day and won the 2003 Eureka Prize for the promotion of Science and the NSW and National winner of the Telstra Women’s Business Award for Innovation in 2009. In 2011 and 2015, she and her team were awarded the AUSIMM MIOTA award and the Clunies Ross Medal, respectively, for LANDTEM.